Children received Christmas gift bags prepared and distributed by Gloria Horbaty, UNA advisor and financial secretary of Branch 414 in New Haven. 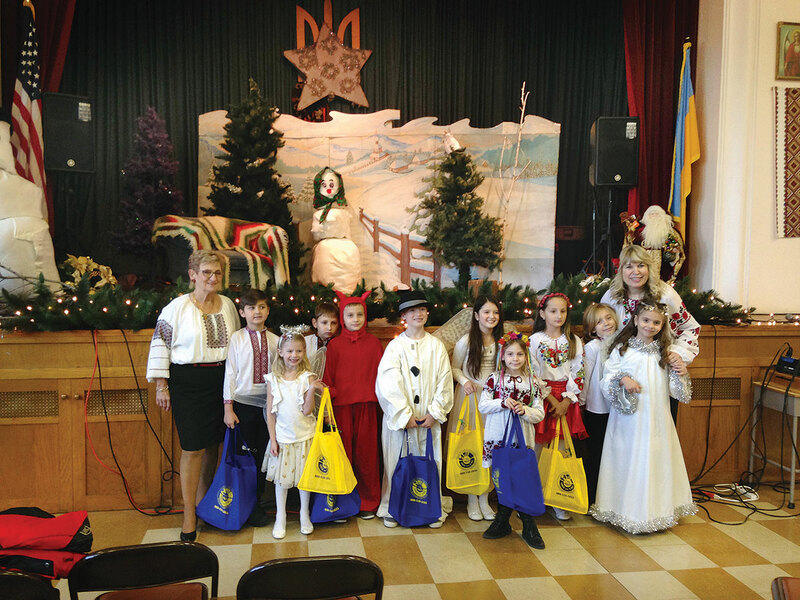 The children participated in the annual St. Nicholas play on December 23, 2018, that was presented by St. Michael School of Ukrainian Studies. 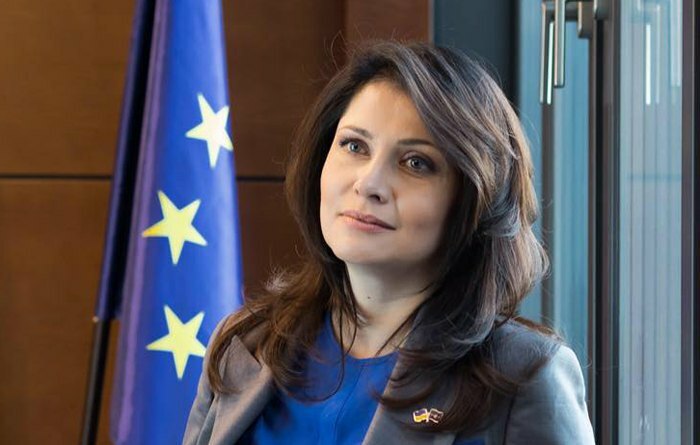 Posted in The Ukrainian Weekly, March 8, 2019. On Saturday, December 1, the University of New Haven hosted a very well-attended concert and public forum commemorating the 85th anniversary of the Holodomor and the fifth anniversary of the Maidan Revolution of Dignity. 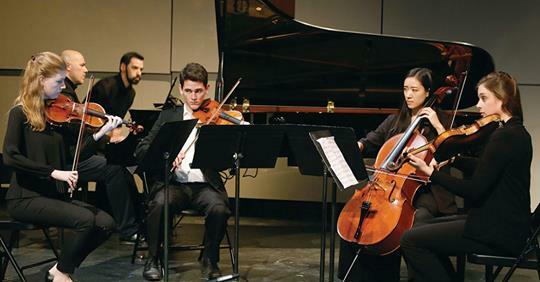 The concert was the brainchild of virtuoso pianist Victor Markiw, lecturer in music at the University of New Haven, and was co-organized with Olena Lennon, adjunct professor of political science at UNH. Read the Ukrainian Weekly press on the event here. You are invited to attend the St. Nicholas Play to be held on Sunday, December 23, 2018, 12 noon, in the church hall. We worship first, and the play follows the Divine Liturgy. The Ukrainian Ridna Skhola (School) students will be performing at this traditional event. St. Nicholas will make a presentation for all the good children. Please support the school and bring your children/grandchildren to this event. This is a great opportunity to learn an aspect of our Faith and share life in community. We also need an audience! We are a small school presently, but we are still keeping traditions. Enjoy October with friends at the club! Sunday, September 23, 1:00 p.m. The film tells the story of the impact of the current war in Ukraine and the response by Ukrainians around the world. “Recovery Room” was directed by Adriana Luhovy and produced by Yurij Luhovy and Zorianna Hrycenko. Beverages will be available for sale. At a brief ceremony today following the second Divine Liturgy, members of our Ukrainian community gathered in the parish yard in front of the Holy Theotokos and our flags to pray and reflect upon the anniversary of Ukrainian Independence. Let us pray to the Holy Spirit and to His Spouse, Mary the Mother God for Ukraine. 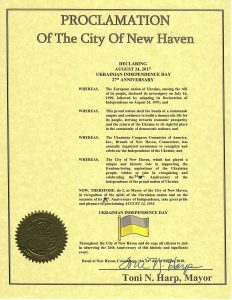 Here is New Haven’s Proclamation (don’t mind the errors in date)…. click to enlarge the image. 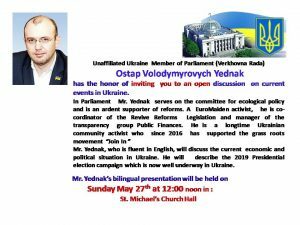 The St. Michael the Archangel Ukrainian Church community in New Haven welcomes Ostap Yednak, member of the Ukrainian Parliament (Verxovna Rada), who will speak on the current political, economic and security situation in Ukraine as well as the Presidential campaign currently underway. The conversation will be bilingual and will take place on Sunday, 27 May at 12:00 noon at St. Michael’s church hall, 569 George Street, New Haven. 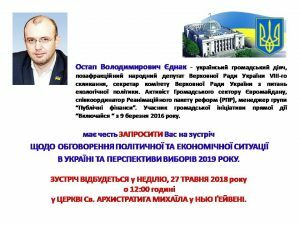 CT State Ukrainian Day Committee announces that the 51st Ukrainian Day Festival will be held on Sunday, September 9, 2018 at St. Basil’s Seminary in Stamford, CT.. The first Festival Committee Meeting for this year will be held on Sunday, March 18, 2018 at 2 :00 p.m., at The Protection of the Blessed Virgin Mary Ukrainian Catholic Church Hall, 255 Barnum Avenue, Bridgeport, CT.
Those interested in working on the festival committee are invited to attend. For information, contact Roman Stanislavskyy or Gloria Horbaty (203-269-5909). 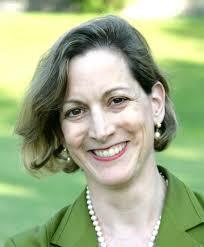 The Polish-Hungarian Friendship Society will be hosting a discussion with Pulitzer Prize-winning author Anne Applebaum on Tuesday, February 13, at Yale University in Linsly-Chittenden Hall 317 at 5:30 p.m. The discussion will be moderated by Laszlo Gendler. Ms. Applebaum recently published Red Famine: Stalin’s War on Ukraine. Mention of Applebaum and her new book was noted on this parish blog here. An article on the book by George Weigel.